Top 10 Mobile App Development Trends To Watch For In 2017? As the mobile app industry keeps on expanding, the year 2017 will see several new advancements in the overall app ecosystem. In our tech-savvy world where every selfie is a fashion statement, adopting new technologies and setting a new trend is no easy task. Whether you are developing native apps for brand leaders, cross platform apps for entrepreneurs or enterprise apps for the Big B’s of the industry, you have to be on top of your game. If you’re reading BrainMobi’s blog, then you probably have a decent understanding of mobile apps, process of mobile app development and mobile technologies. However, there is probably a good percentage of the BrainMobi’s audience that is still confused about the upcoming trends in enterprise mobile app development. 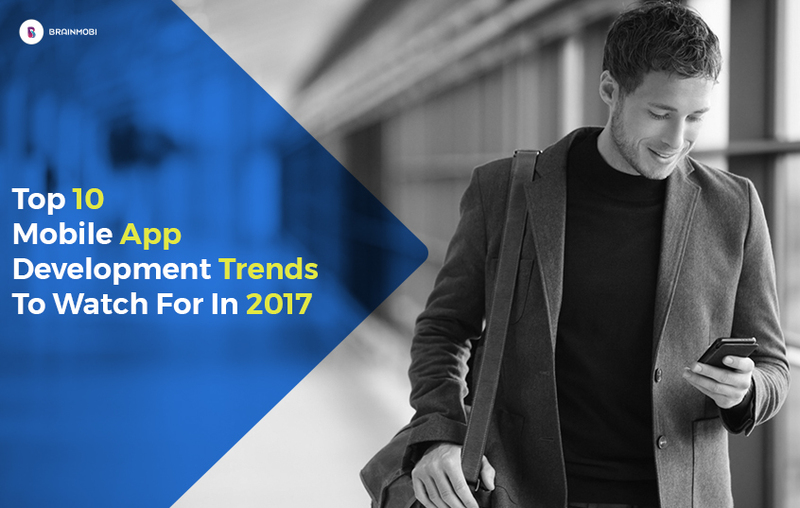 Let’s have a look on the top 10 mobile application development trends that will be focused upon in 2017. The year 2016 was touted as the year of mobile apps, the mobile industry has seen tremendous growth in terms of smartphones, technology and investments being made. Everyday a new technology emerges, all with a singular objective – to disrupt the market be it IoT, AR/VR, Wearable, Beacon or Artificial Intelligence. The continuous rise in mobile technologies is opening new doors for developers. To challenge the economy hundreds of new start-ups are emerging at every corner of the city, all with a vision to create next-gen mobile apps. Like our blog? Share your thoughts in the comments section below and get in touch with like-minded people. Awesome post! It was really informative. I liked how the slides contained most of the information. That’s rare in blogs. Hope to see more of this in your blogs in the future. Thanks for the information! 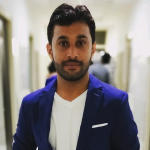 Nice blog.. specially the way in which the whole blog is written.. i have been following brainmobi from the past few months and your post are very informative.. hope to see more information about mobile apps in future as well ..
Nice blog… The details have been discussed in a very informative way. Keep sharing such blogs more often.. Crisp n clear data. Quite informative and easy to understand. Could not have been more simple than this to understand by an end user. Looking forward to more such posts. Good research, team brainmobi. Wish good luck.